Yelp is all-city thanks to 1AM! 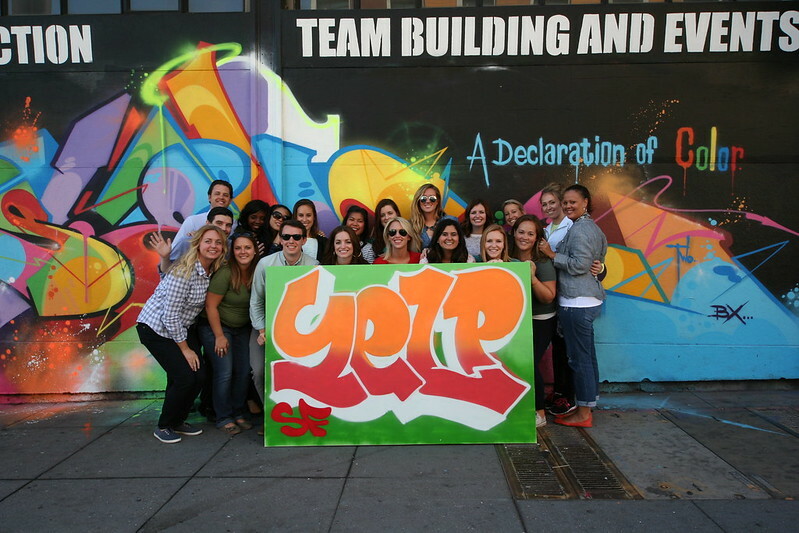 Home/Events, Graffiti Art, Mural Production, Team Building Workshops/Yelp is all-city thanks to 1AM! 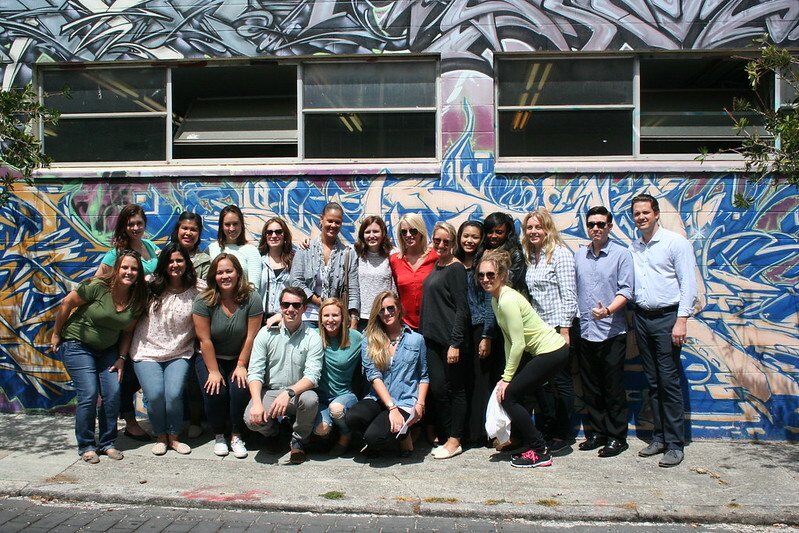 Yelp‘s multi-office team came together at the gallery for an afternoon of tag practice and spray mural production. They were quick to take can to canvas and produced three separate murals so that each office could take one home at the end of the day. Our teacher designed each mural so that it would reflect the specific graffiti styles of San Francisco, Phoenix, and NYC! 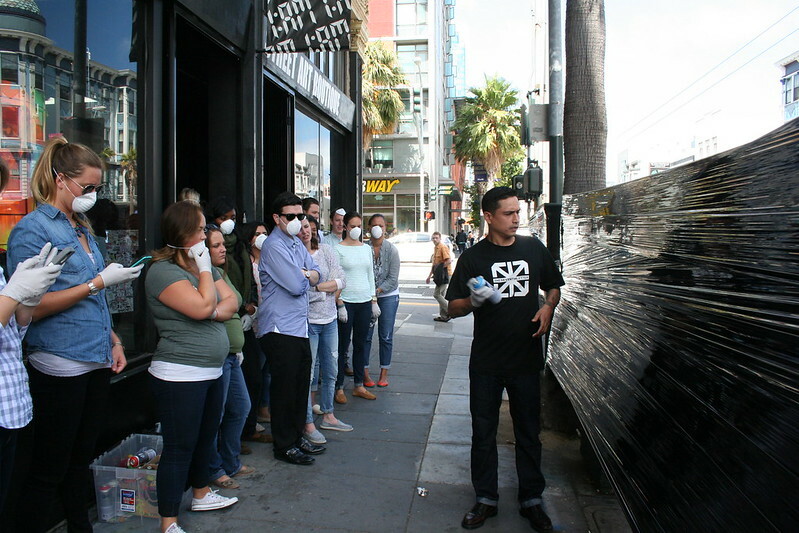 Please contact us at privateevents@1amsf.com to set up your next team-building event!